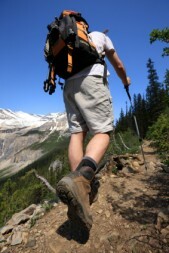 A backpack is your home for the length of your trek. It holds your shelter, clothes, food, and all other necessities and comforts. 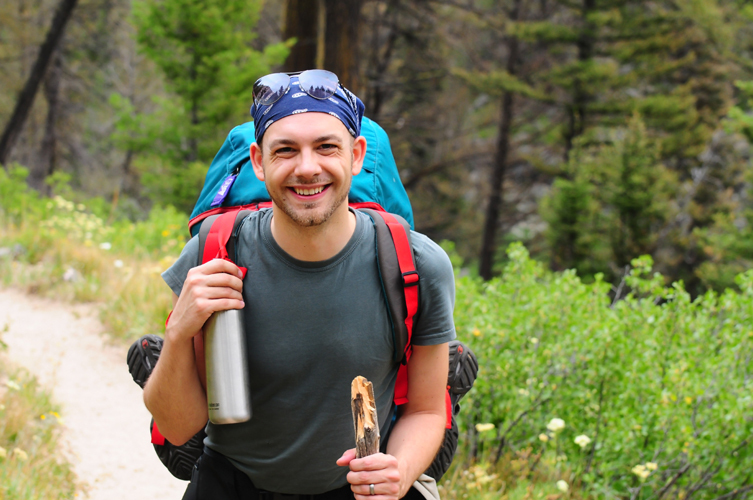 You may be using your pack for backpacking a thru-hike, an overnighter, or just anything off the beaten path, but in any case, choosing the right backpack for your body, planned uses, and gear system is essential to an enjoyable experience in the outdoors. Hydration compatibility: Most packs have a compartment designed to hold a hydration reservoir, plus a port (opening) on each side to route the sip tube. 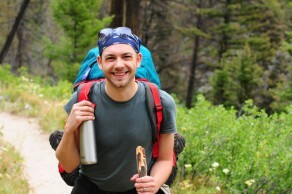 Reservoirs are typically sold separately, except on hydration-specific packs. Other packs have elasticized mesh “holsters” on their sides to hold water bottles. Hip belt: The hip belt should straddle your “iliac crest” – the two prominent bones on the front of your hips. This is the area where your pelvic girdle begins to flare out. When evaluating hip belts, consider their comfort and adjustability. Some packs offer interchangeable belts, permitting a more customized fit, and even belts where the angle of the fit can be adjusted. An increasing number of hip belts have pockets for easy access to your energy food, digital camera, GPS or similar items. Other load-bearing straps: Most packs help keep the load close to your body by using load-lifter straps. These are located just below the tops of your shoulders (near your collarbone) and should angle back toward the pack body at about a 45 degree angle. Also common is a sternum strap which secures across your chest to help support the load and allow your arms to swing freely. Attachment points: These allow you to attach gear to the outside of your pack if you have the need. Climbers and early-season hikers should look for ice-axe loops, daisy chains (a series of small loops where you can dangle gear, such as carabineers) and crampon patches. A shovel pocket holds a snow shovel or other items tight against the back of your pack; it’s a good place to stash wet things. All of these extras, of course, add some weight to a pack.